When Lily Hayes arrives in Buenos Aires for her semester abroad, she is enchanted by everything she encounters: the colorful buildings, the street food, the handsome, elusive man next door. Her studious roommate Katy is a bit of a bore, but Lily didn't come to Argentina to hang out with other Americans. Five weeks later, Katy is found brutally murdered in their shared home, and Lily is the prime suspect. But who is Lily Hayes? It depends on who’s asking. As the case takes shape—revealing deceptions, secrets, and suspicious DNA—Lily appears alternately sinister and guileless through the eyes of those around her: the media, her family, the man who loves her and the man who seeks her conviction. 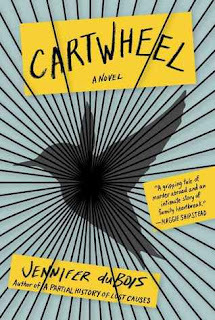 With mordant wit and keen emotional insight,Cartwheel offers a prismatic investigation of the ways we decide what to see—and to believe—in one another and ourselves. I couldn't help but think of Amanda Knox while I was reading Cartwheel. 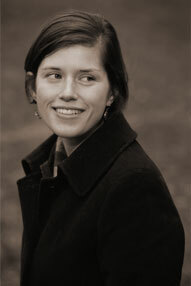 Amanda Knox was a young American woman convicted of murdering her roommate while studying in Italy. I didn't follow her case closely but even I saw the parallels between fact and fiction. One of the enjoyable things about Cartwheel is the range of perspectives the author offers us. We're able to see things from the point of view of many characters. There are myriad answers to the questions raised in this book...the answers only depend on whose perspective you believe. I wanted to believe in Lily Hayes. I wanted to believe that she was innocent. And I did...most of the time. As a character she was complex, frustrating, and completely believable. Cartwheel is a wonderfully written page turner that I wholeheartedly recommend. Who is Lily Hayes? What happened to her roommate? No two readers will agree. Cartwheel will keep you guessing until the final page, and its questions about how much we really know about ourselves will linger well beyond. Really looking forward to this one! Especially since I studied abroad in Buenos Aires myself and have also been fascinated with the Amanda Knox story. Thanks for the review--its sounds like I need to bump this up sooner on my TBR list! This book will be nearly perfect for you :D Enjoy! Omg, while reading the blurb, I was thinking Amanda Knox - must read this. And then bam! You made the connection. Definitely reading it. Tah dah! ;) Fab, I hope you're able to get your hands on a copy asap! About 100 pages into this now - and I love it! DuBois is just so good - she's such a really clever writer. Looking forward to seeing how this turns out. And I hope it finds a wide readership when it's officially out next week! Yes, clever! Great way to describe her writing Greg :D I hope you continue to enjoy it, can't wait to hear your final thoughts! This sounds really interesting and complex; I love not really knowing the truth and being able to draw my own conclusions when reading! Yes, yes, and yes! It's a great exercise for our minds! Oh goody! You liked it! I have this one and now I am looking forward to it more. I did! She has a groovy style, I hope you like it too Ti! Okay before I even finished your review I was thinking of Amanda Knox and I didn't follow the case closely either. This sounds really good. I am curious if you will be reviewing The Husband's Secret? The new hubby and I are going for our belated honeymoon next month and I am building my reading list and I'm thinking of this one. Tell me, should it go in my suitcase? Thank you so much Lori :D It's been just about 3 weeks and I'm darn proud of myself. I think I'm going to review The Husband's Secret. Maybe? Ha! I'll just tell you that yes, you should pack it for sure. I was nervous that it might be too similar to the Amanda Knox story, but I was totally blown away by the writing. I hope this gets tons of attention, because it really deserves it! This does sound very like the Amanda Knox story and that itself usually turns me off. But I'm glad to hear that you enjoyed it and the mystery elements in this book sound very enticing. I liked the sounds of this one! Thanks for sharing your thoughts. I'm going to add this one to my ever growing TBR pile. LOL, I know all about that crazy tbr pile. I hope you like this when you get to it! So glad to hear you enjoyed this. I was in awe of duBois' writing in A Partial History of Lost Causes and cannot wait to read Cartwheel too. Is it bonkers that I can't remember if I read her first book or not? Why didn't I keep track of everything I've ever read?? Cartwheel sounds very good. I thought of Amanda Knox as well after reading the blurb. I think you'd dig it :D Great read! Sounds very gripping, indeed! I didn't know the book, nor did I know the real case you mentioned, but it seems like a thought-provoking story to think about. It would be a great book for a book club, lots to talk about! I've read a few reviews on this one and now I really really really want to read it! I started this book, but had to put it down after only a few chapters. I am not sure why, but it totally dragged for me-took me three days to read less than three chapters. Looks like I should give it another chance!! The Amanda Knox parallel jumped out at me too. Is the title also an allusion to the Amanda Knox story? One of the famous weird details of that case was that Amanda Knox reportedly did a cartwheel in the police station. As I was reading the summary here, I was thinking it sounded like the Amanda Knox story. Crazy! Glad to hear you enjoyed it! Yes, I must read this one! I was getting a bit tired of the dual narrative thing but this one feels fresh :) It's done right. I immediately thought of Amanda Knox too. I've been hearing a lot about this one and I'm intrigued by the idea that readers will draw different conclusions. I never could make up my mind about her guilt. I was changing my mind every other page, lol. Wow this sounds like a great book. I do like to read books from multiple viewpoints and the fact that it will inevitably be linked to Amanda Knox will surely colour perceptions even more. Great review. It really was a great read :D Thanks!